The borders are on and I'm declaring her done! After 18 months on the to-do pile. My sister bought the original fabric, which I cut into scenes. My mother did the math to make everything square up...mostly. 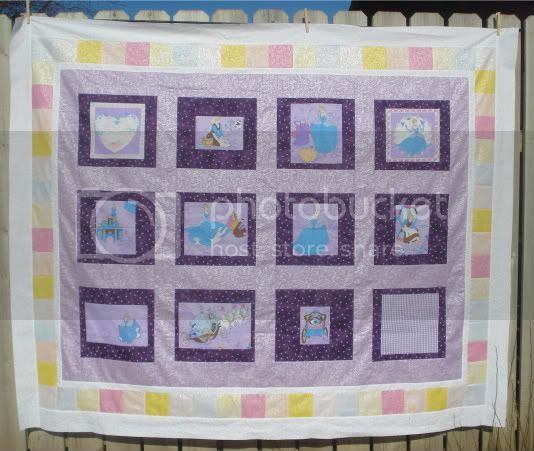 It's a whole lot of purple, and I wasn't sure the white border would work, but I think it does. Also, I didn't want to go buy another two yards of something else. Now I just need to find a big enough space to baste it - it's bigger than my kitchen floor!